It’s rather strange to be house and pet sitters when you think about it. We walk into a stranger’s house and make ourselves at home among their possessions and four-legged family. We care for their treasures like we would our own, pamper and fuss over the pets, water plants and bring in the mail, converse with the neighbors and sometimes even add some of their friends as our own. In short, we have a chance to sample and experience an alternative life in a new and unfamiliar city or country without a permanent commitment. How cool is that? At the beginning of our stay in Curacao the security guard at the entrance recognized the vehicle we were driving but not us, and each new guard required the same explanation about who we were and where we were staying. Shortly, however, a wave and nod and we’d be let back into the gated community with little fuss and a warm smile. We learned some of the idiosyncrasies of the house: the lighting system controlled by a remote, the combination stove/oven with the temperature in Centigrade that cooked with either gas or electricity, the washer with controls labeled in Dutch and the on-demand hot water heater. We never did quite figure out the electronic gate of the fence that enclosed the small property and, if any neighbors watched our comings and goings we must have provided a small amount of amusement. One of us would dance around with the control waving our arms trying to activate the “trigger” or light that powered the finicky beast. The gates would part halfway then slam shut and all the time the driver would be gunning the engine waiting to dart through whenever the gate god decided we’d been toyed with long enough. And there were, of course, the three reasons our presence as house/pet sitters was required: Grietje, Nina and Simba. Simba, the big neutered Tom called our competence into question right away when he took off the second day of our stay for some nomadic traveling of his own that lasted about two weeks. He slunk back home thinner, wearing some battle scars and slowly insinuated himself back into the household as though he’d never left. Nina, a feminine calico, had one eye (the other lost to an infection before her adoption as a small kitten) and loved watching us from her lofty heights on the refrigerator or the top shelf of the bookcases. She also pounced on unsuspecting toes moving under the sheet early in the morning which was a rude awakening. And Grietja, a tortoiseshell, shed her hair in tufts and was ever mindful of her next meal, falling upon her bowl with famished enthusiasm. All became our adopted family. 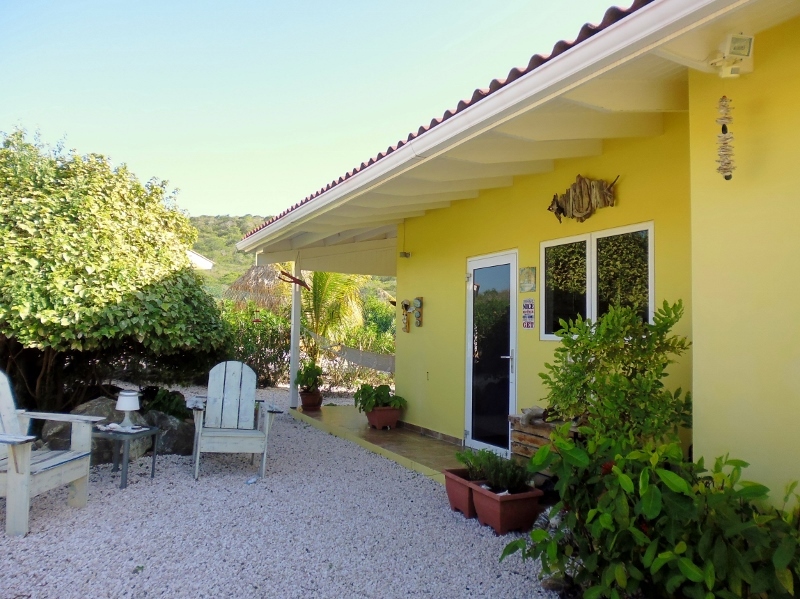 Instead of a parallel experience during our stay in Curacao we had a rather bifurcated house sitting gig. One half of our duo, “Immersed”, entered upon a social calendar which included yoga, a charity walk-a-thon, weekly walking/hiking jaunts with a group up and down hills and along the coast and tea or coffee sessions following the outings. The less mobile one, suffering from a twisted knee right before our departure from Cartagena deplaned in Willemstad appearing something like a reincarnated Quasimodo: upper body canting forward and to the right, back and hip in open revolt and the left leg a reluctant appendage at best. “Twisted” spent the first several days of our stay semi-reclined, leg propped up, alternating the reading of historic tomes with fast-paced best-sellers. When rest didn’t work we explored medical tourism in phases: a doctor, physical therapist and finally an orthopedic doctor with a magic serum dispensed weekly by a wickedly long needle. In fact, the orthopedist complimented “Twisted” by casually mentioning that the x-rays showed the knees of a 45-year old patient – Blush! Blush! And so, in between semi-reclusion and endeavors, the few house sitting activities and the care of our three feline charges we interspersed swimming, sightseeing jaunts by car exploring the island and ultimately on-foot wanderings around the barrios of Willemstad. With the offending knee working as it should “Twisted” was upright and mobile, ready for future rambles. 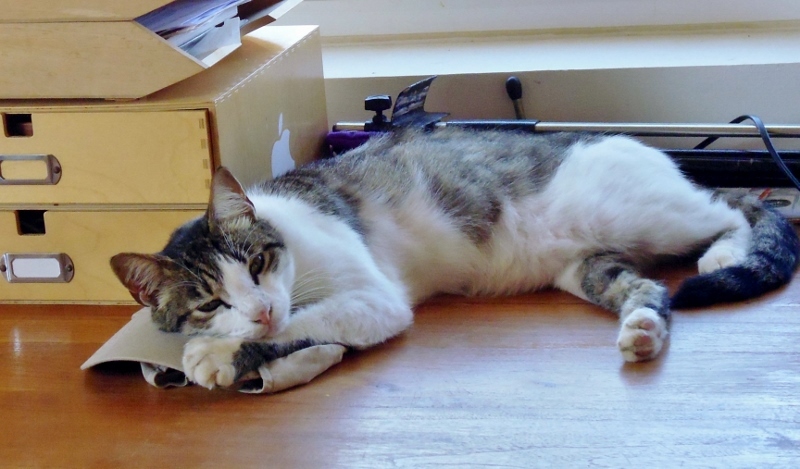 In fact, the big downside to our house and pet sit in Curacao was …. 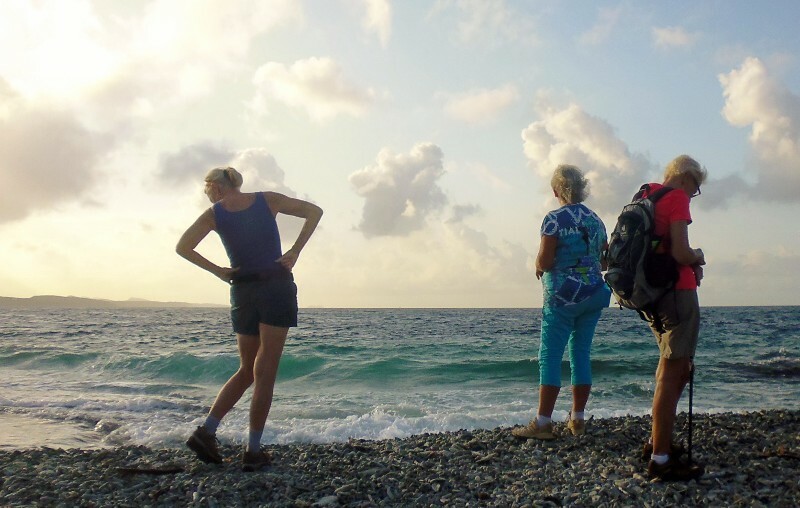 How great to read about your traveling projects; espescially the bit from Curacao! We are a norwegian/dutch/ finnish couple who plan to go there this autumn and we have concidered housesitting. Can I ask you on which of the housesitting websites you did find this option for Curacao? I also do allow me to ask: Do you think there could be a possibility to connect us with this owner you were sitting for? Eventually just check if they would need somebody again from august/ september 2015? I hope you are ok with me asking you this. 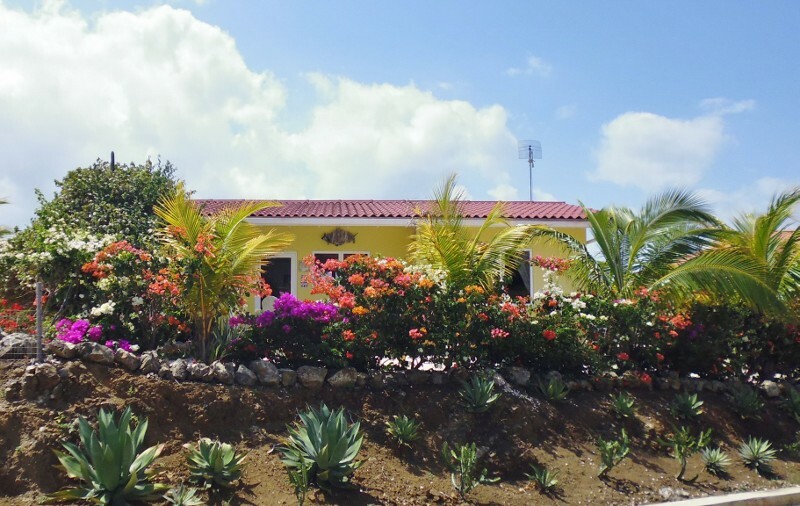 We’re registered with both Trusted Housesitters and Housecarers but the housesit gig in Curacao was arranged privately. A friend that we housesat for in Costa Rica gave our names to her sister in Curacao and … you know the rest. Serendipity! Flexibility is the most important thing with housesitting. Timing is everything and many times the ability to change the direction of our travels is also a big factor. Good luck! I’ve never house sat but it sounds like an interesting adventure. I think I would enjoy getting to know other peoples pets although it would certainly make me miss my own. Since we’re long-term travelers it’s really been fun to care for and spend our time with other people’s pets. It always makes us sad to say goodbye. One day we’ll settle down and adopt one or two 4-legged family members of our own to pamper! Housesitting is an adventure, and this one sounds delightful, outside of the reluctant gate. Your attitude is a great one…..a positive outlook can overcome a lot. This housesit was a wonderful adventure even with a tom-catting feline and a twisted knee! We agree that attitude is the key ingredient in life and travel – how you approach life’s bumps and glitches can make a huge difference. We really did become very attached to our feline friends and greatly enjoyed caring for them. However, as you also remembered, the gate was finicky and downright obstinate most of the time! I’d love to try house-sitting, especially with a pet(s) to care for, but it would have to be a dog as the hubster is allergic to cats and rodents. He also has a full time day job which makes us less flexible than I think house-sitters have to be. The silver lining is that I’m writing this from Israel because his day job has some nice travel opportunities—but probably not long enough for a house sit. There are many opportunities to find great house sits and we’d do more if we could mesh our travel goals and the time frame with the listings. One thing that’s nice about housesitting is that there are many listings available with only cats, only dogs, other animals and even no animals at all. The time frames also vary from a few days to months. For us, it’s fun to live in a fully stocked home instead of a hotel or furnished apartment and experience a new city like a local. Thanks for your great story. What you describe (the gate, the stove…) are similar to the idiosyncrasies we have experienced even with short-term apartment stays in various cities. Your experience with yoga, hikes and community make me want to up our game, and go for a home stay somewhere! Every home and apartment has its idiosyncrasies and we keep encountering new ones in each place we stay. Some are specific to the home (lighting by remote control) and some specific to the country (suicide showers and not flushing waste paper) but each one reminds us “We’re not in Kansas, anymore!” and makes us very appreciative when things go smoothly. Great description, we have had similar experiences when driving the owner’s car around. Everybody waving at us and then a confused look on their face when they see it’s not who they were expecting. We had a lot of fun with that one. The little car we were driving was bright blue and very distinctive. Since the area we were living in Curacao was mostly residential rather than tourist our hostess was well known by many. We certainly received some puzzled looks and sometimes felt like we needed to explain how we’d ended up driving the car! House sitting sounds like such a great way to really immerse yourself in a community. I would enjoy having friendly pet companions to share our stay, though it must have been stressful when tomcat went on his journey! Glad to hear “Twisted” eventually found relief! You’re absolutely right in saying that housesitting is a great way to become a part of a neighborhood or community and experience life as a local in another part of the world. Luckily, this visit, we had time for the errant cat to return and for Richard’s knee to recover! It would be different going into someone else’s world and keeping it running smoothly while they were gone. I am such a cat lover that I would love that part of the job but be constantly worried that something would happen to one of them on our watch. Great post. As we said in this post, it is strange to assume responsibility for someone else’s home, slipping in and out of their lives … So far it’s been a very positive experience for us and we’ve had several opportunities to settle in to a community, make friends and learn about an area in more depth than we would have had if we’d just been traveling through as tourists. We’ll cross our fingers that our future house and pet sits will be as good! Love the kitties! I’ve never housesat but have thought about trading houses, a similar but different prospect. We’ve loved both the cats and dogs that we’ve cared for and, as long term travelers, it’s fun to experience their companionship when we have the opportunity. 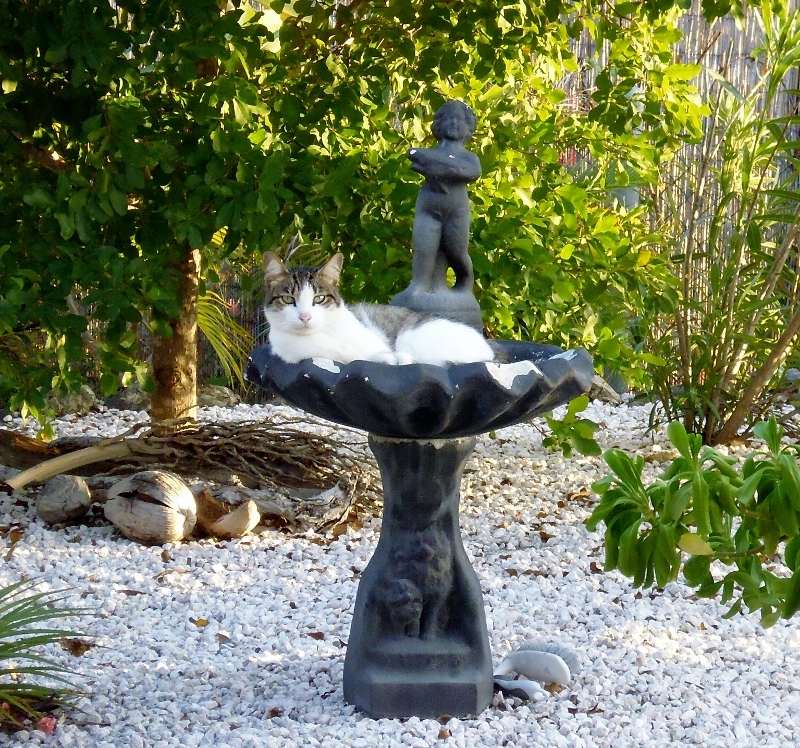 I think you’d enjoy a home exchange, Carole since it could combine both of your loves, felines and travel! Enjoyed reading about your housesitting experience. We use our home in Nicaragua as an exchange home in order to travel by way of home exchange whenever possible. Its a similar experience to what you describe …arriving at someone’s house – strangers really, and slipping into their lives and their bed, and having a life experience in their neighborhood! The same responsibilities, sometimes animals ( if we are lucky) and mostly trust, which works both ways. We have just spent six months in Europe almost all, by way of home exchange! We used to have a friend housesit for us when we lived in the US (and actually owned a house with furniture instead of just suitcases!) and it’s interesting to view the experience from both sides: the worry that something can and will go wrong is equally great. However, when we can work in housesitting gigs with our travel itinerary we’ve really enjoyed the experience. 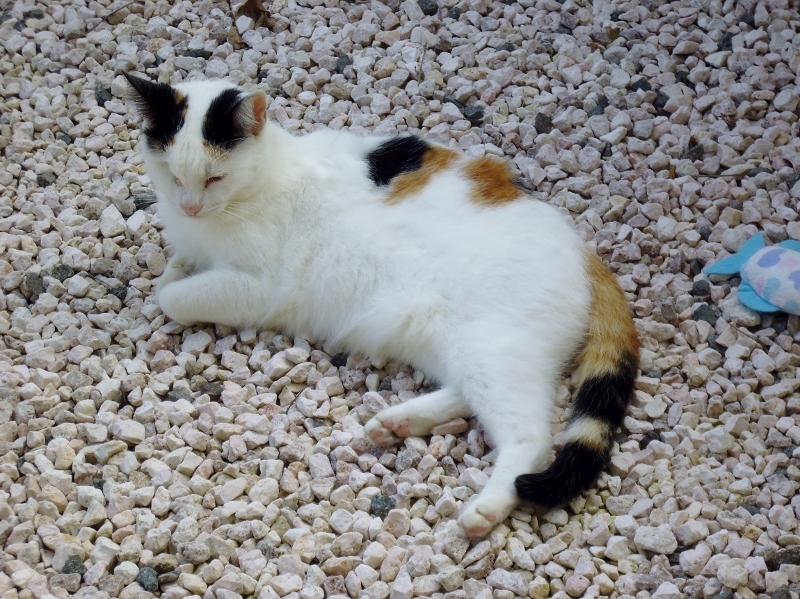 There are so many house/pet sitting opportunities available all over the world – it’s just a matter of deciding where! We were in a low-level panic mode when Simba went walk-about! Luckily the homeowner was still there the day he disappeared and wasn’t too concerned for the first few days. However, as time passed we all became nervous. We definitely take on a huge responsibility as house sitters but, despite some household glitches and pet problems which we always communicate immediately and clearly to the homeowners, we feel the positives far outweigh the negatives. As for where to park if you accepted a housesit – you might be surprised at what’s available! Your attention to detail, told in such a pretty way, had me captivated! I love house sitting for the same reasons you site — stepping into a neighborhood and trying it on for size, even with all the idiosyncrasies! Wishing you many more fun assignments — without the twisted knee, of course. Thanks for your kind words, Josie. Although we fell into house sitting by accident when we were offered our first gig in Antigua, Guatemala, we’ve found that it’s a terrific way to travel, live in a fully equipped, comfortable, “real” house and immerse ourselves into a city or town. It’s a flexible, cost effective way to move about and offers experiences that “tourists” just don’t have the opportunity to participate in. We plan to start applying for housesits in the UK later this summer once we get our feet on the ground, figure out a flexible European itinerary and sample/parallel lives in some more unique areas. You’re so right about trying on a lifestyle and seeing how it fits when you’re house sitting. We’ve been fortunate in our house sits to work with lovely homeowners in wonderful locations. And for us, the dogs we’ve cared for have been the cherry on the sundae. When unexpected health issues occur (and it was me on this sit with a health nightmare), we can get derailed. Working through them is an exercise in resilience. It sounds as though you work well with each other and offer the support which is so necessary in an unfamiliar location. Since we live an animal free life it’s fun to take care of the pets and, like people, it would be hard to choose favorites (although chickens so far haven’t aroused any real affection!) As older travelers we’ve both learned that our health is our biggest asset and, when there are problems, it can be frightening as well as frustrating. What’s really amazing to us is that we’ve found medical and dental care when we’ve need it to be comparable to the US and, in many cases, the service and bedside manner have exceeded our expectations. 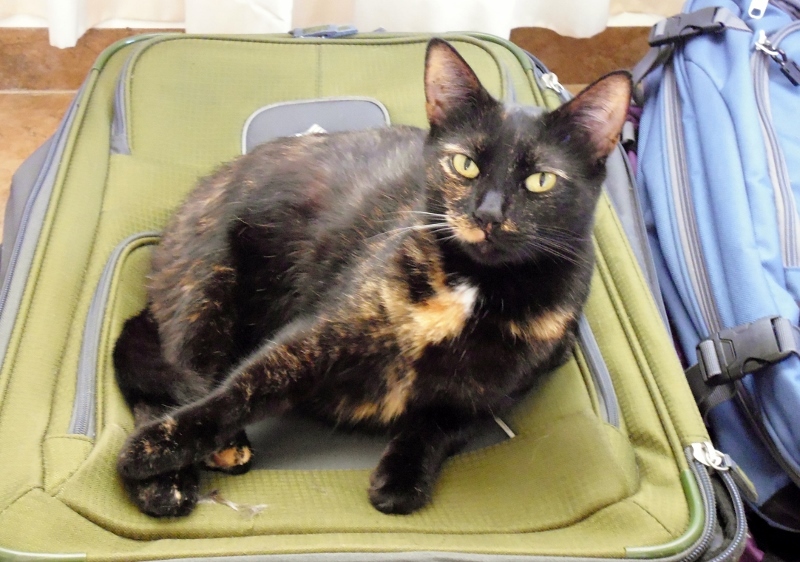 We’ve been lucky enough to have “formal” housesits in Guatemala, Costa Rica (2) and Curacao and each one has involved a few challenges as can be expected by any home or pet owner. We’ve had experiences that ranged from good to fabulous but we haven’t regretted (yet!) committing to the responsibility, settling in to a new community and living locally. Even though we’ve had our share of mishaps (an invasion of huge flying ants, a very sick old dog, a chicken that died…) the positives have far outweighed the negatives and we’ve left with new friends and a better understanding of each new country where we’ve lived. I, too, am wondering which one of you was “twisted”. I suspect with the yoga that it was you, Anita. Glad to hear you are recovered. When we went to Ecuador, our cat, Ocho, left for two weeks to do his cat thing. Our house sitters were frantic, but like Simba, he returned the day we arrived back home. We’re planning our trip to Curacao for October. We’re going to fly our son and his fiance to Curacao for a week and hopefully rent an airbnb place. If it wouldn’t have been for your lovely posts, we’d never know about this colorful island country. Thanks again for your descriptive posts. I love your blog. We’re so glad to have had the pleasure of introducing your to this lovely country and that you’ve decided to visit it. I can honestly say that you won’t be disappointed – there’s something for everyone – beaches, swimming, snorkeling, diving, sightseeing, museums, good food … We feel so lucky that we were able to see as much as we did since we had a car to get around (we’ll never take that luxury for granted again!) and, with short walks in the beginning, Richard was able to have a great time too, despite the knee. We’ll let you in on the secret – it was Richard! Our original idea was to write the post from two different viewpoints but as we worked on it this is what evolved instead… We never quite know where our writing will go each week! Glad you are much better Richard. Are you doing exercises to strengthen your knees? Enjoyed this post immensely. I’m so glad Simba returned. Im sure you had some stress those two weeks. You know our story!! Safe travels. There are definitely ups and downs with housesitting. It’s an enormous responsibility to agree to care for someone else’s home and we try to leave everything as it was when we arrived. But sometimes the pets aren’t very cooperative! Aw, that damnable gate – Some days we thought it would never let us leave! 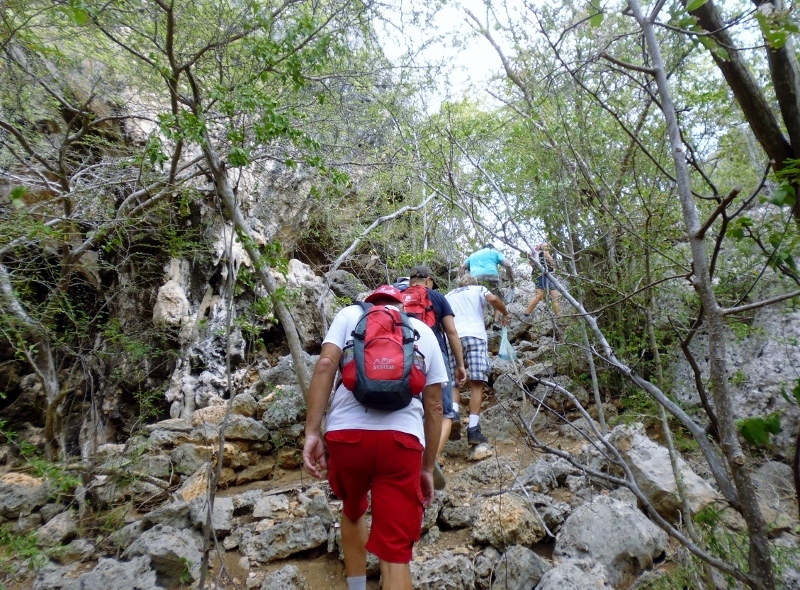 Meeting new friends from the neighborhood, yoga and hiking was one of the high points of our stay in Curacao – we miss you all too! What I truly love about your escapades is that you manage your wellness plan….mind…body…spirit! I also admire your two companions for your travel…simplicity and consistency. I look forward to the next chapter in your journey. Thanks for your kind words, Maida. As we’ve aged and especially during our travels, we’ve realized that mind, body and spirit play a huge role in how each day is lived and what we get out of it. And it all seems to start with a positive outlook, a smile on our faces and the goal of a few laughs each day!